With your Wildlife Dome Entry option, wander through our wildlife park at your own pace and visit the extensive range of native Australian animals on display. You can also enjoy a number of free interactive wildlife shows and presentations, including feeding tours, koala & mammal talks, and reptile presentations. Cockatoo Corner is the home of our resident cockatoos – Jo Jo, Holly and Willow – whilst Koala Kingdom is the perfect place to see our koalas, Nellie and Micro. Select any of the options below for more details about our wildlife shows and presentations, or visit our Wildlife page to learn more about the species that call our Wildlife Dome home! Join us as we feed our carnivorous birds which include Kookaburras and Frogmouths. See our amazing rainforest birds at their most active and observe their diverse feeding behaviours. Learn about the different bird species that call Cairns ZOOM home, including some very cheeky personalities! Meet Goliath, our 4 metre saltwater crocodile, at his feeding time, and learn about how he made his home in the Wildlife Dome. 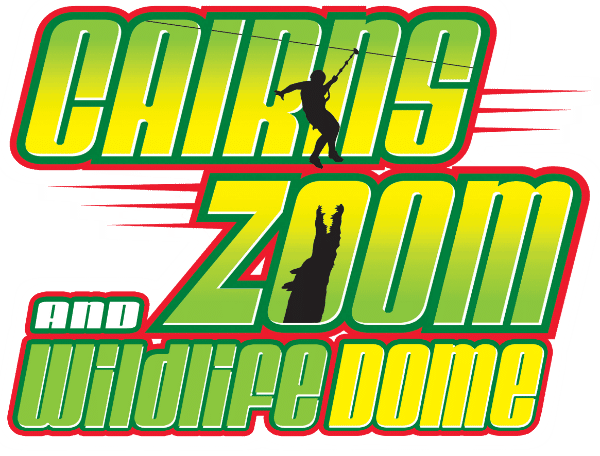 For the more adventurous, zipline directly over Goliath on our Hi-ZOOM course. Note: there are seasonal variations to his feeding routine but we’ll let you know during your visit. Discover what a marsupial is and what makes them so special. Learn about the koala – find out why they sleep all day, how they raise their young and the gum leaf menu they enjoy. You can personally cuddle a koala in our reception area, and have your photo taken as a souvenir of your experience. There are also snake or crocodile photo opportunities available. Check out our wildlife photo prices here. When you visit, make sure you check out our photo package which includes three photos for the special price of $40 and includes a photo with a cute and cuddly koala. During this tour you’ll learn about our nocturnal Australian mammals including Bettongs, Swamp Wallabies, Pademelons and our very cute Koalas. You may also spot the adorable sugar gliders and see their remarkable ability to glide from tree to tree. You will also have the chance to get up close and personal with our snakes, lizards, freshwater crocodiles and turtles. Our small bird aviary is positioned to overlook the Trinity Inlet and Coral Sea. Visitors have the opportunity to interact with a variety of native Australian birds, including a variety of parrots, finches and doves.